Being one of the main partners of this year’s designjunction, Turkishceramics is collaborating with London-based designer Adam Nathaniel Furman, to design Gateways, a ceramic installation consisting of four gates that draw people to wander through and experience the various views at the centre of the enfilade perspective. Set to be the central feature for Granary Square with Central Saint Martins (UAL) as backdrop, the 4m-high and colourfully-tiled gates reference architectural interiors and facades from London’s famous Underground Stations to the beautiful facades of Ottoman architecture, in a bold and contemporary language. 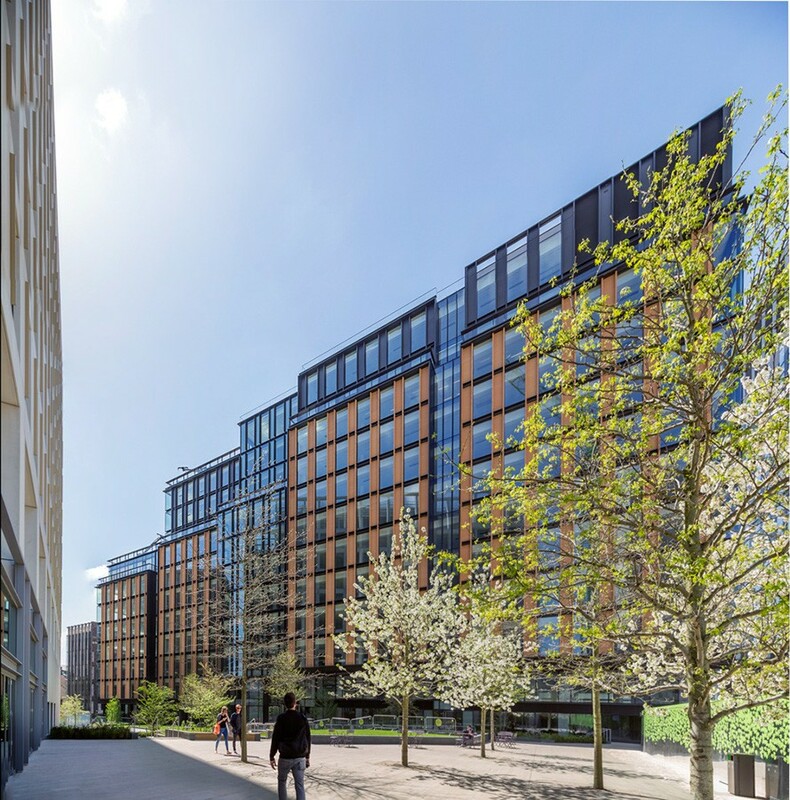 The site-specific installation for one of London’s most popular public spaces, will showcase the best ceramic products Turkey has to offer. Reflecting the quality, strong design values and innovation of the industry, Adam Nathaniel Furman’s design approachis highly-curated and creative. Commenting on the installation’s design, Furman said: “From the Ishtar Gate of Babylon, the Safavid facades of Isfahan’s Naqsh-e Jahan Square, and Sinan’s divine Ottoman mosques, to the maiolica cloisters of Santa Chiara in Naples, the gothic terracotta of the soaring Woolworth building in New York, and the famous red glazed ceramic Underground Stations of London, ceramics have always been, and continue to be, both the most historic, resonant and traditional, as well as the most fresh, perpetually surprising, delightful and exciting of architectural materials. perfectly represents both the future, and the glorious past, of ceramics as a building material everywhere. I feel honoured Turkisceramics has invited me to create an installation using this incredibly versatile and rich building material. Bahadir Kayan, Chairman of Turkishceramics said: “This is our first year at designjunction and we are excited to be a part of such a fresh and innovative show. 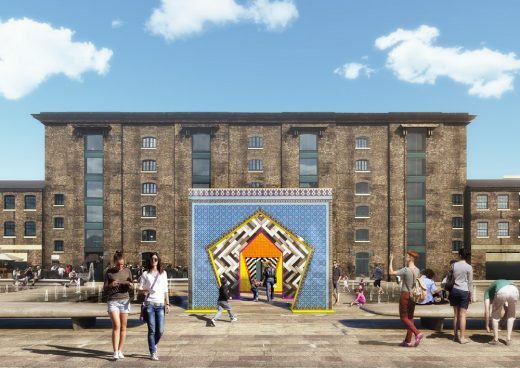 Adam Nathaniel Furman’s design for Granary Square is a creative representation of how modern Turkish ceramic products and historical architecture can be brought together to create a contemporary installation. ”Turkishceramics is one of the main partners of this year’s designjunction. 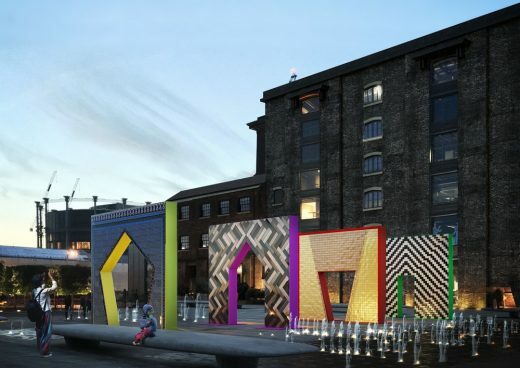 Gateways can be visited at Granary Square in King’s Cross during designjunction from 21-24September.